Rest, wary warrior! 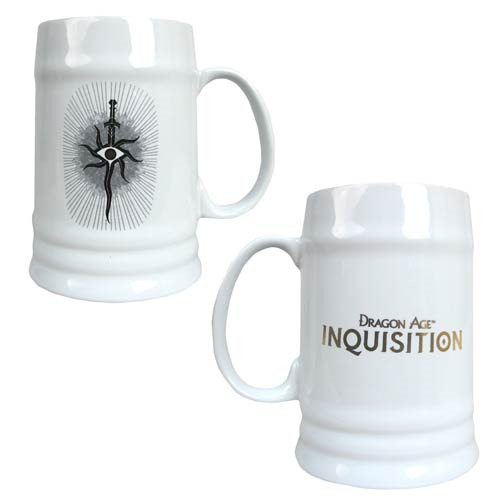 Whether you've won or lost your most recent mage battle, refuel with a drink from this Dragon Age Inquisition Stein! Stein holds 22oz of liquid. Hand wash only. Not dishwasher safe. Do not microwave. Ages 15 and up.